Madaruk is a professional Drupal theme for any business or portfolio website, it’s fully responsive design, looks stunning on any device. It features a very clean and professional design that is perfect for showcasing your work. 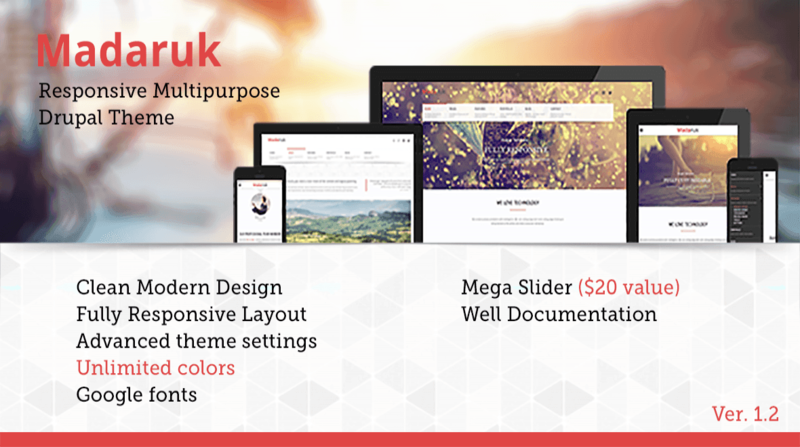 Madaruk supports fullwidth and boxed style, you can custom background image or uses image pattern. Madaruk help you easy settings and customize with a beautiful template settings.